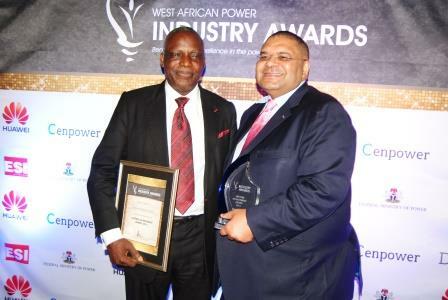 The third edition of West African Power Industry Awards took place at the 2016 West African Power Industry Convention (WAPIC) held in Lagos, Nigeria and during the gala dinner; industry pioneers and projects were recognised and celebrated in eight different categories. Business Post reports that ECOWAS Executive Director Mahama Kappiah, Mojec Meter and Power CEO Chantelle Abdul, Aggreko, Ghana’s GRIDCo and Solar Nigeria walked away with some of the top awards at the ceremony. Held at the Eko Hotel and Suites in Victoria Island, the Special Recognition award went to Mahama Kappiah, Executive Director, ECOWAS Regional Centre for Renewable Energy and Energy Efficiency, Ghana while the Ghana Grid Company Limited (GRIDCo) walked away with the coveted Excellence in Power Transmission or Distribution Award. Also, the Outstanding Woman in Power, Regional Award was won by Nigeria’s Chantelle Abdul, CEO, MOJEC Meter Company and MOJEC Power. Mahama Kappiah was eminent in the establishment of the Centre which aims to ensure increased access to reliable, affordable and clean energy in West Africa. Under his leadership, ECREEE has attained international recognition as a unique regional renewable energy and energy efficiency promotion agency in Africa. Aggreko has 1,300 MW on hire across 29 countries in Africa, including more than 550 MW in West Africa (serving customers across nine countries). In line with Power Sector Reforms in Ghana, GRIDCo was established to undertake power transmission services in an open and transparent manner. The company has steadily invested in the transmission system to increase its transmission lines to over 5,100 circuit kilometres (km) and fifty-four (54) substations by 2015 and also introduced a higher voltage class (330kV) into the transmission network. Businesses supported by Solar Nigeria provided more than 92,000 Nigerian homes with solar lighting or power systems between January and June 2016. More than 45,000 of these homes are located in Northern Nigeria. GVE Projects Limited is through their flagship “GVE-P(TM)” mini-grid model, deploying reliable, sustainable but affordable energy solutions to rural off-grid dwellers. Since inception in 2012, GVE has impacted about 30,000 households through our energy service delivery model. As Chief Executive of Mojec Power and MOJEC Meter Company, Ms Abdul led the growth of the once small family business into one of the most iconic brands in the Nigerian power sector today as well as the largest smart meter manufacturer in Nigeria and possibly West Africa. Fadekunayo Adeniyi started renewable energy project development as part of the Quaint Global Energy Solutions team developing the 50 MW “ABIBA” solar power project in Kaduna State, Nigeria. 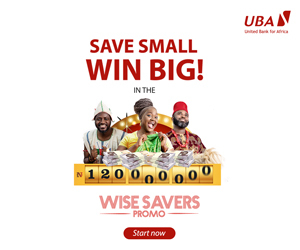 ARNERGY Pay-As-You-Go Solution is developed by Africans for Africans and it allows rural household and SMEs to rent solar power and using RANA, a proprietary mobile electricity vending apps that enables payment with or without mobile network.